Luis Enrique's team trained on Saturday for the last time before the seventh league fixture of the season against Celta. The first-team squad and Barça B defender Borja López worked hard at the Ciutat Esportiva ahead of a difficult away fixture for the Catalans. Celta have proven hard to beat at home and Luis Enrique's side haven't forgotten the 4-1 loss inflicted in the corresponding fixture last season. The match at Balaídos is a difficult prospect and Barça are expecting a tough game. After the training session at the Tito Vilanova field, the Barça manager will give a press conference to discuss his teams prospects in the last game before the international break. The team will travel on the Sunday morning to Vigo for the match at 8.45pm CET that same day. Prior to the session, the squad received a visit from former Barça keeper José Manuel Pinto. 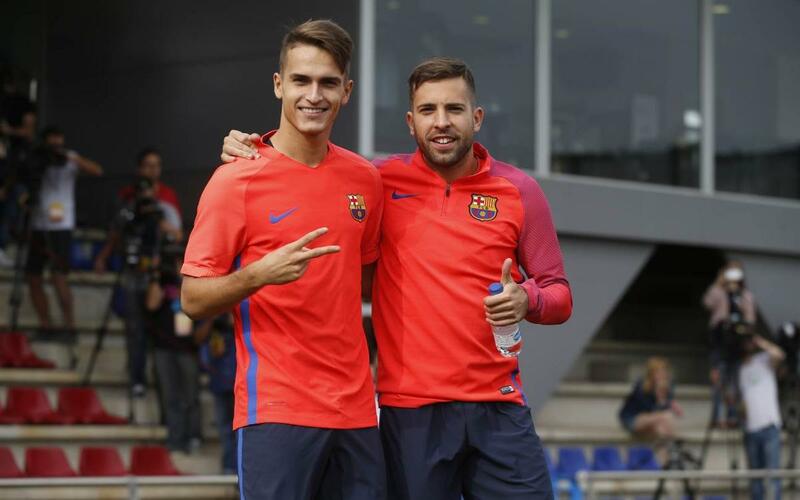 The Andalusian was at the Ciutat Esportiva on Saturday and he took the chance to greet his ex-team mates ahead of their game against another of his former clubs. Celta Vigo.